This is not your mama’s craft show, we’ve got unique items you wouldn’t find at most traditional craft shows. 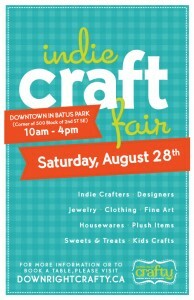 Featuring the handmade wares of crafters from Medicine Hat, Lethbridge, Calgary and surrounding area. You’ll find amazing jewelry, clothing, plush items, handmade beauty products, accessories, fine art and more! 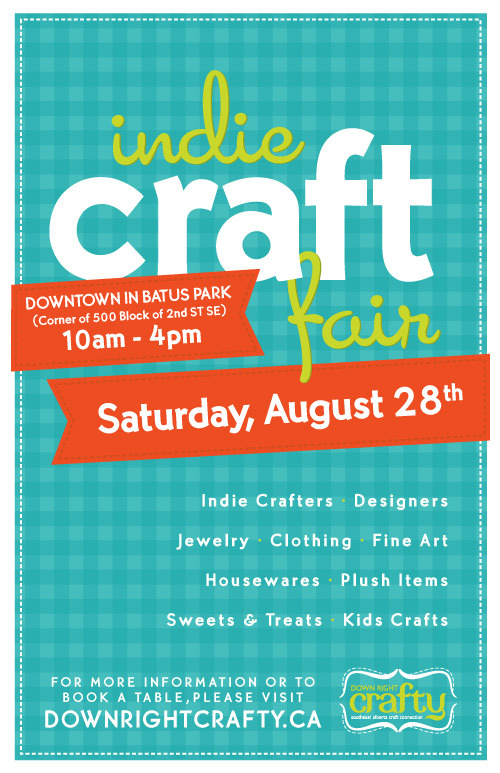 There will be a Kids Craft Corner and free lemonade, so bring the whole family and end your summer on a high note! This entry was posted on Tuesday, August 10th, 2010 at 12:00 PM and is filed under Art Events, Other Events. You can follow any responses to this entry through the RSS 2.0 feed. You can leave a response, or trackback from your own site.